Graphic created by Major Matt Cavanaugh. I seem to be writing and thinking quite a bit about the concept of strategic landpower these days. 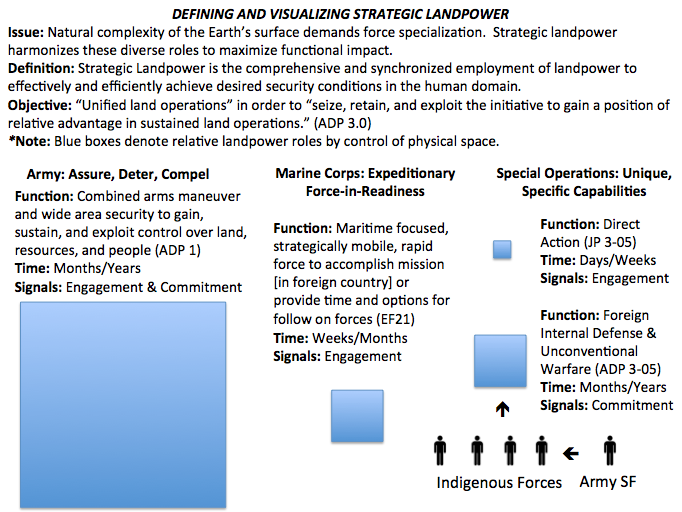 The image above is a second, better version of a similar attempt at visualizing strategic landpower. Please feel free to offer suggestions and/or comments!